In the most recent leader’s debate held Monday 15th February, Stephen Donnelly of the Social Democrats highlighted that the political establishment did not understand business. Why has business anything to do with politics and governance some might say? Don’t be surprised to hear – a whole lot! Forgetting each parties’ manifestos for a moment we need to take a look at why it’s worthy of conversation. 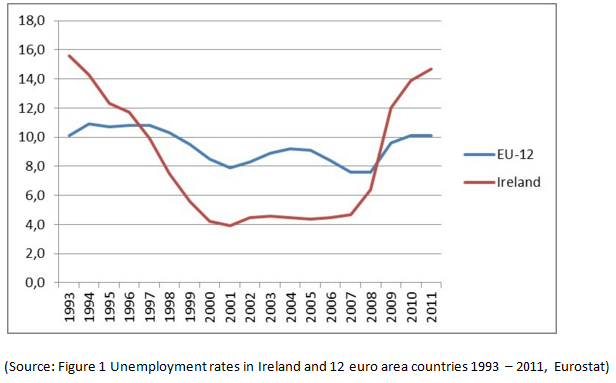 The economic climate in Ireland has been, for less than arguments sake, dismal since 2008. 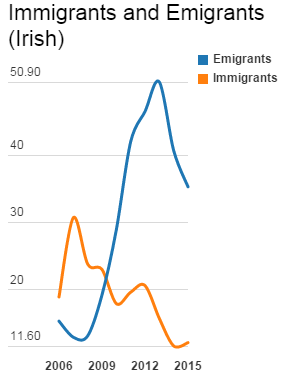 We’ve seen a rise in emigration and a rise in those claiming social welfare. Despite recent statistics showing a burgeoning rise in employment, there has been heavy criticism of the government since the implementation of the Job Bridge scheme which has bolstered those numbers. In short, Job Bridge was an initiative taken to get those who were unemployed back on the employment ladder (not that they weren’t looking) but because jobs were not available. Businesses were able to undertake more employees without incurring major costs with the supplementation of welfare payments. Businesses were only obliged to pay modest stipends. In a time of uncertainty and a lingering workforce, this all seemed well and good for all parties involved. An Irish citizen could continue working, a business could undertake the man power needed and the government’s employment rates would rise. Everyone’s happy right? While it might be clear who might get the worst end of the stick there’s something fundamental to this – business. Take a business out of the equation and really nothing makes sense. Businesses are the heart of our economies whether big or small. Yet some parties don’t understand how to leverage the correct businesses that forge more certainty into our economy. There’s no doubt about it, Ireland is a great place to do business with it ranking 17th on the Ease of Doing Business Index. The question really lies in who it’s truly friendliest to? Take Multi-National Corporations for instance. Some of the largest in the World have boasted their logos and claimed the Docklands as their fort in Dublin (i.e. Google, Facebook, Twitter and Linkedin). How have they been able to commit to Ireland as their headquarters? It’s simple – Ireland’s great tax breaks. The current Corporate Tax stands at 12.5% for trading income and 25% for non-trading income some of which goes unpaid in cases. This doesn’t vouch well for the SMEs who currently make up 99.7% of over 185,500 active enterprises in Ireland of which 68% are Irish private sector employees according to Irish Small and Medium Enterprises Association. While low corporate tax has the benefits of attracting FDI, over centralisation in the business landscape is affecting our rural towns. The recent budget has demonstrated some support for rural towns by retaining the 9pc VAT and altering the USC rate but it won’t be enough if momentum and radical changes aren’t made. Local communities have seen their post offices, Garda Stations and banks disappear. With no prospects, families and younger generations will continue to move to over populated cities or continue to validate the “commuter town” label (if they have the transport infrastructure to begin with). So did Stephen Donnelly have a point with regards to understanding business? We think so. The business friendly flag that we have waved isn’t for Irish businesses, especially for our rural towns. We can forget about being ranked 17th in the world if we cannot understand the value in investing in our small businesses. The figures are plain to see. Continued over-reliance in the FDI model will drive our economy into more uncertainty and it is something we cannot afford. Keep this in mind when you’re in the ballot box this coming Friday 26th! We know who we’ll be voting for, if wasn’t already apparent!